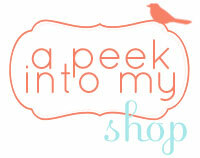 Lu Bird Baby: In Blue Giveaway! and reading all the gushy info about boys back in the day. I still have a journal. I've almost always had one and I probably always will. It is where I go to reflect thoughts and ideas, record things the Lord is teaching me, write out prayers, etc. My name is Mary Lynn Schroeder, I moved from Chicago, IL to Carbondale, IL about 2 years ago, bought my first sewing machine on my way down, and never looked back :) I have been sewing like crazy since! I live in the country with my two dogs (daschu and chief). My friends,family, and boyfriend have been super supportive and inspire me to create every single day. Check out her awesome journals! They are unique and crazy cute. 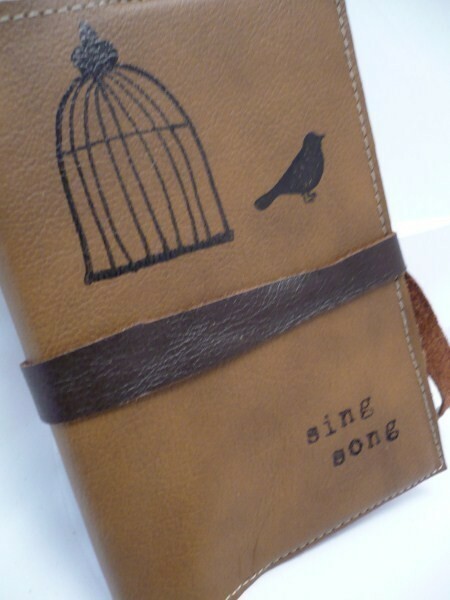 and girly versions like this adorable bird and birdcage. Seriously there is something for everyone! I think my I phone would be really happy if this was it's new home. a hand printed simple Iphone/Ipod case!!! Don't have an Iphone or Ipod? These cases also fit Palm Treo's and many other mp3 and phone devices. 1. Visit In Blue's shop. Are there seriously no other comments yet? lol. Wow. Well, this looks like a terrific giveaway. I just love journals... although I don't have as much time to write as I'd like. 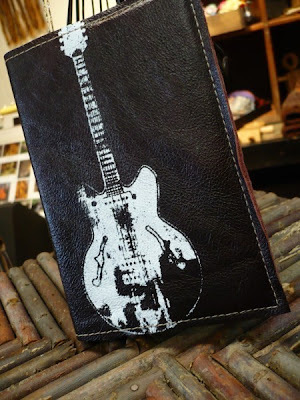 My favorite one was the leather guitar roots journal. A close second was the one with the gun-toting chica. Very Charlies Angels-ish. The original Charlies Angels, not the Barrymore/Diaz/Liu movies. :) Thanks for hosting this! And hope you start feeling better soon. Love these journals! All of them are wonderful, but I have to say the "home is where your heart is" joural is my favorite. Thanks for the giveaway!! Already following your blog! I love it! I LOVE that idea. Kindness is the best!! 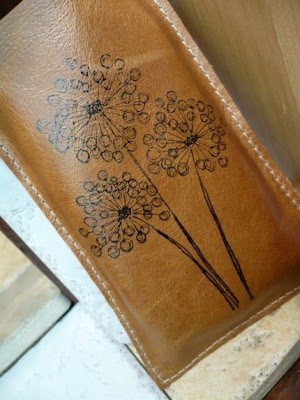 i love the iphone ipod case leather simple sleeve handprinted. I would have it customized with something related to led zeppelin! 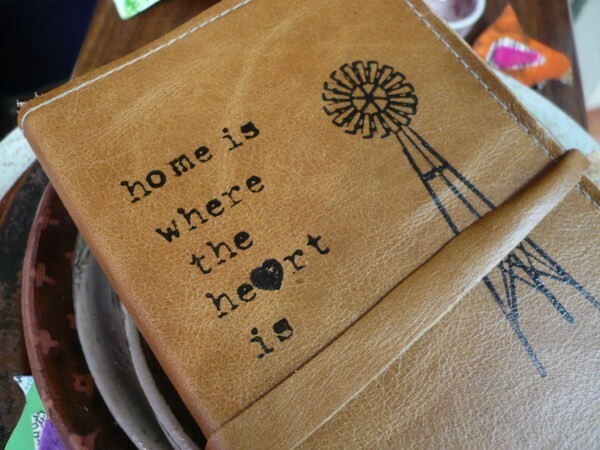 i love the reflections leather bound handprinted journal!!! I really liked the you are my sunshine journel. The bird is so cute. & awesome giveaway hope I win! Loving the leather! One of my favorites is the leather wallet checkbook cover pocketbook custom with pendant closure option. I would love to get one customized for my mom! I love the ipod iphone sleeve leather handprinted birds on a branch! 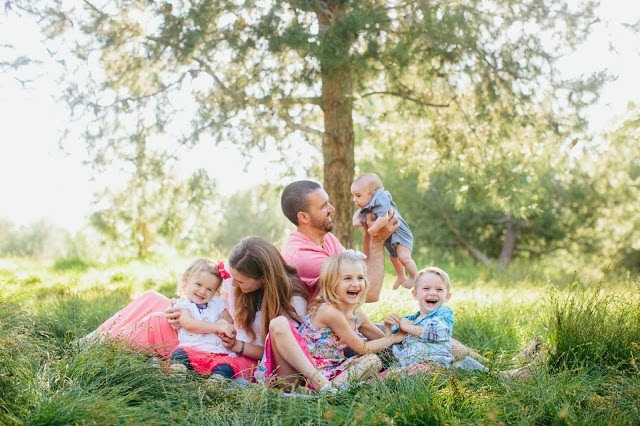 And I blogged about you! 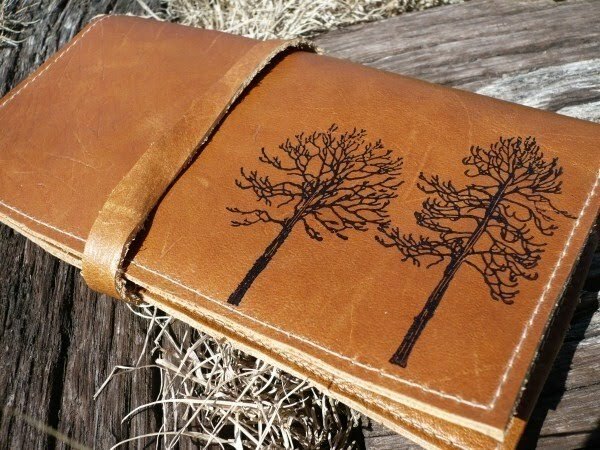 Ok. Those journals are awesome! I am in love with ALL of them... but I'd probably choose the guitar one for my hubby to write his music in. what a wonderful idea to add that one! you are so sweet! Wow such lovely things! And I just lost my ipod case at the gym, silly me. I love the IPod Leather Sleeve with pendant closure, with the bird on it? So cool!